Alexander is a graduate of UNC Charlotte with a degree in Criminal Justice. 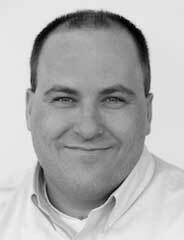 His professional background includes inside sales and information technology recruiting. Alexander is currently the Tenant Manager for Park Avenue’s investment team. Allison Runner is a Louisville, Kentucky native with over 25 years of experience in all aspects of typesetting. She graduated from UNC-Charlotte in 2012 with a BA in English. Before coming to Park Avenue Properties, she worked as a freelance writer for the Denver Weekly newspaper and a reader/evaluator of educational assessments. Allison's background also includes 15 years as a ballet dancer, as well as a first-degree black belt in Tae Kwon Do, and remains active with Pure Barre exercise. In her spare time, Allison enjoys writing poetry, flower gardening and decorating her home. She lives in Cornelius and has a son, Nick. Anna was born in California, raised in Colorado, and is now settled in North Carolina. She attended the University of Denver for her degree in Accounting and Finance and recently earned her MSA at Regis University. Anna brings her education and previous work experience in medical billing to Park Avenue’s accounting team, where her focus is on rental collections. When she’s not busy at the office, Anna enjoys spending time with her family and dogs, and she loves to cake decorate. Angela Pennell is experienced in office administration and sales. She has held a Vice President position and director of a call center for storage facilities throughout the U.S., and was instrumental in the startup, methodical layout, and running of that business. Throughout her professional career, Angela has been responsible for the various tasks involved with running a prolific office such as: staffing, budgeting, managing, designing custom software, and selling the end product. She also holds a NC Real Estate license and sold for in the Lake Norman area in the past. Angela's forte in business lies with troubleshooting a process and having a vision of what would make things run more smoothly and efficiently. "I like to think outside the box," says Angela. "I love to take a process, form a think tank, and make a process phenomenal. I feel that when you have several very intelligent people brainstorming, there’s an electricity in the room that makes it impossible for the competition to beat." On a personal basis, Angela loves to draw plans, build, and do interior design for houses. She enjoys traveling internationally and writing short stories about her family and experiences while vacationing abroad. Angela has a daughter, Sloan, of whom she is extremely proud. Brad is an experienced attorney who handles complex business litigation in state and federal courts involving a wide range of issues affecting corporate and individual clients, including breach of contract, partner and shareholder disputes, fiduciary duty claims, deceptive franchise practices, contract matters, intellectual property issues, construction disputes, secured creditor claims, employment contracts and business torts. Brad also has significant bankruptcy skills and has been involved in many litigation matters in bankruptcy cases, including preference actions, fraudulent transfers, priority disputes and disputes over ownership of assets in which the bankruptcy estate claims an interest. Additionally, Brad is an accomplished negotiator who has successfully resolved complex and contentious matters on behalf of clients, using common sense and practical solutions to get difficult and costly disputes put to rest. 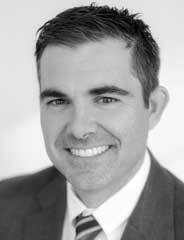 In 2005, Brad moved his law practice, Morris Law Firm, to Mooresville, North Carolina. As an experienced attorney with over 23 years of practice, Brad’s clients can be confident of his qualifications and also the personal service that they expect. Camille Thompson is an Owner Relationship Manager for Park Avenue Properties and has previous experience in Sales and Real Estate. She enjoys working with owner clients, whether they are an owner of one property or an investor with a growing portfolio. Carrie Sides is experienced in maintenance and construction management, having worked in the business for years alongside her husband. Carrie applies her industry knowledge and expertise to the hard­working maintenance team at Park Avenue Properties. When she’s not working, Carrie is enjoying the outdoors with her husband and pup. 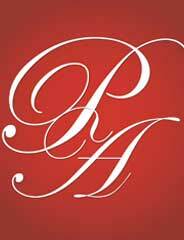 Originally from Pittsburgh, PA, Cheryl Armstrong was referred to Park Avenue Properties by a close Realtor friend. Cheryl's diverse professional background includes human resources, healthcare, hospitality, banking and nearly 20 years in the Property Management industry. Cheryl loves working with people. "I know that a lot of people say that, but I genuinely do," she says. Her experience and desire to work with others makes her an asset to Park Avenue's maintenance team. When Cheryl isn't working, she can be found boating with her husband or cheering on her favorite football team. Cheryl is a self-proclaimed animal lover and devoted to her dogs. She is also an active member in her church where she sings on the Praise Team and two other choirs. Denise Barnes joined the Park Avenue Properties team on March 20, 2015. Bringing with her many years of customer service experience, she easily became a great addition to the firm’s Customer Care team. Her passion to help others is what drives her to be the very best she can be, and Denise believes that providing great customer service is a key component in any successful business. In 2016, Denise was promoted to a Tenant Manager within the firm, giving Denise the opportunity to focus her strengths on serving the firm’s tenant clients. In her spare time, Denise loves spending time with her family and planning special events. 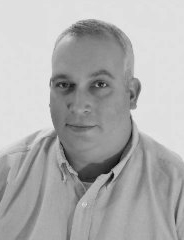 Doug Rohr has experience as a landscape architect, master planner, land development project manager, team manager, and construction project manager/administrator for a wide range of public and private sector projects. His comprehensive project management experience includes, but has not been limited to, pre-­acquisition due diligence, planning, layout, design, construction cost estimating, bid package preparation and review, construction contract administration, construction management, and construction observation. Doug oversees the field maintenance team for Park Avenue’s Charlotte market. Fran Wilson joined the Park Avenue maintenance team in 2016, and she assists with dispatching work­-orders to maintenance vendors. Everyday brings something new to the table, and Fran enjoys the variety the Maintenance department offers. When she’s away from her desk, Fran is spending time with her family and relaxing at home. Heather Little serves as Property Account Manager on Park Avenue’s Investment Team. She is a highly motivated individual and enjoys tackling the daily challenges property management presents. Heather is actively pursuing her real estate license, and her previous experience in the nursing field is a testament to Heather’s desire to help others. Outside of the office, Heather spends her time with family and friends. Jan is originally from Asheville, NC. After attending Western Carolina and NC State she began a career in marketing and advertising in Atlanta Ga. She transferred to Charlotte and continued in the marketing and advertising field for a few more years. She then decided to follow her heart and began a career in Real Estate in 1992. Jan's real estate career began at Prudential Carolina's Realty under the guidance of the esteemed Bill Gallagher. Jan had a successful career in real estate and still dabbled in marketing and advertising part time. When Jan met John Bradford and Jennifer Stoops in February 2012 she decided she was up for a new challenge and began her career at Park Avenue Properties. Jan has been a key player in in the growth and development of Park Avenue Properties. She has been promoted to Business Development Manager and assists in overseeing the growth and development of all of Park Avenue Properties’ markets. Jan is married to Craig Moore and they have three children Katie, Dillon and Anna. In addition they have 2 energetic Golden Retrievers adopted through the Golden Rescue of Charlotte ­ GRRCC. After helping the firm grow their property management business, Jennifer was promoted to Sales Manager of the Property Management Division in 2008, in 2011 she was promoted to Regional Sales Manager of Park Avenue Properties and in 2013, Jennifer was promoted to Vice President of Park Avenue Properties. In 2014, Jennifer was promoted to Senior Vice President with direct oversight of all areas of the firm’s business. A classic overachiever, she was awarded the Business Today “Top Woman in Business” award in 2012. Jennifer has served in leadership roles for various organizations such as NARPM (National Association of Residential Property Managers), having served on the Charlotte Regional Board as Treasurer, Vice President and serving three terms as President. She also serves as the on several NARPM National committees including, Professional Development and Marketing/Communications as well as serving as a NARPM Designation Mentor. Jennifer serves on the NC Association of Realtors Board of Governors for the Property Management Division and she also Co-Chairs the education committee of NC Association of Realtors Property Management Division. Jennifer also serves on the Housing Opportunity Foundation, Government Affairs Committee and Real Estate and Building Industry Coalition (REBIC). Besides serving in several areas related to her work, Jennifer is also very active in serving within her community. Jennifer serves as the Vice Chair for Helping Others Help Themselves (HOHT- a non-profit organization that focuses on helping folks get back into the workforce) and also serves on the Board of Directors for the Lotta Foundation (a non-profit organization providing meals, coats and toys for the less fortunate). She is also a member of the North Meck Rotary Club and the Executive Women of Lake Norman. Jennifer has achieved the distinguished designation of Residential Management Professional (RMP), is a candidate to receive her Master Property Manager (MPM) designation and is also a graduate of Leadership Lake Norman. Jennifer and her husband, Matthew relocated to the Lake Norman area in 2006. She is actively involved with her community Homeowner’s Association. In her spare time, Jennifer enjoys spending time with her husband and their two dogs, camping, cooking, traveling, outdoor activities, real estate and property management, naturally. With over 5 years with Park Avenue and 15 total years of experience in the real estate industry, Jenny has the training and skills needed to successfully meet your property management needs. Having first met Park Avenue agents while selling new homes, Jenny knew that she wanted to be a member of this extraordinary team. Her enthusiasm for her work and outgoing spirit is contagious. Living in Davidson, Jenny is married to a teacher and has 3 children and 3 adorable grandchildren. Originally from Radford, VA, Joe studied psychology and religion at UNC Wilmington and more recently, completed his MBA with a concentration in finance at UNC Charlotte. After working alongside Park Avenue for several years through a vendor, he decided to pursue new challenges and opportunities by becoming a member of the Park Avenue team. Joe serves as the Shared Services Manager, overseeing several departments at the firm. In his spare time, Joe enjoys playing golf and guitar, and spending time outside with his wife, Natalie and dog, Pickles. John obtained his North Carolina Broker’s license in 2003 and began Park Avenue Properties with two other partners as a Real Estate Development firm. In 2007, John became the sole owner of Park Avenue Properties and re­invented the firm into a Real Estate Investment and Property Management firm. 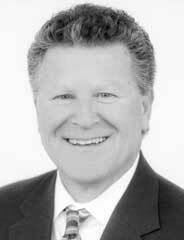 John is a certified NC Real Estate course instructor and serves on various professional and charitable Boards. He served as the 2014 National Treasurer for the National Association of Residential Property Managers (NARPM). In 2014, John was elected to the North Carolina House of Representatives and currently serves as the Freshman Majority Whip. Prior to this new role he was elected and served two terms as a Town Commissioner. John was honored by the Charlotte Business Journal and named to its 2014 class of “Forty under 40.” In 2011, John was named "Business Person of the Year" by the Lake Norman Chamber of Commerce. In 2008, John received his Residential Management Professional (RMP®) and Master Management Professional (MPM®) designations from NARPM. In his spare time he enjoys fishing, camping and traveling with his family. Josh Williams is a recent graduate from Wingate University with a B.S. in Sport Management. While pursuing his degree, Josh worked as the Color Commentator for the Wingate football team radio/TV broadcast and as the Public Address Announcer for the Wingate men's and women's basketball teams. Josh joined the Park Avenue Properties team in July of 2014 and works directly with the investor clientele along with the tenants for those homes. 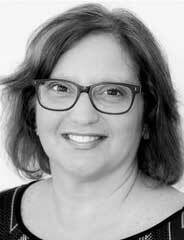 Karen Goldman entered the Real Estate industry as an assistant in New Home Sales. While in this position, Karen excelled at answering client questions, giving tours of the model home and assisting agents with selling homes. Recognizing her potential and drive, Karen's manager at the time recommended that she get her Real Estate License. Realizing this was an opportunity to build a career on helping others, Karen decided to get her North Carolina Real Estate license in 2004. In 2006, she sold over $7 million in new homes. Karen came to Park Avenue Properties while looking to broaden her real estate expertise through the growing field of property management. Her strength in client relations and industry experience make her a valuable asset to the Park Avenue Properties team. Outside of the office, Karen enjoys spending time with her spouse, traveling and being outdoors. Kathy started a career in Customer Service as a Travel Agent for Far Away Travel Services on Long Island, New York. After moving to North Carolina, she continued that service with a family based company World Travel Services in Huntersville. When the company moved out of state, Kathy stayed at home with her 4 boys and continued her Customer Service skills in retail at Kohl’s. There, Kathy also took part in training new employees for various positions throughout the store. Living in Cornelius, Kathy spotted a Park Avenue job ad calling for Customer Service experienced people and Kathy knew she would be a great fit! 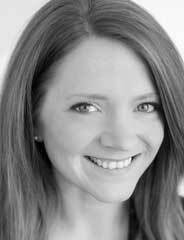 Lindsay Shepard is responsible for Accounts Payable in Park Avenue’s Accounting department. Lindsay Strider is a graduate in the field of Office Administration. While pursuing her degree, Lindsay interned at various companies in Mooresville, NC before joining the Park Avenue Properties team. Lindsay brings her vibrant personality and positive energy to the role and is eager to tackle any task that comes her way. Outside of the office, Lindsay loves to read, participate with her church youth ministry, watch movies with her husband and relax with her family at their beach house in Emerald Isle, NC. 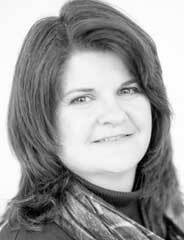 Lisa has been in the property management industry for over 20 years. She began as a field office manager for Trammel Crow on the building side of property management. The first property she worked was Alta Harbor, now renamed Marina Shores in Cornelius. After 3 years and 3 different jobsites, Lisa moved over to the management side of property management and was an Administrative Assistant for the RVP of a management company. Her region was the Mid Atlantic Region and included 18 apartment communities in 5 states and 5 shopping centers in 3 states. After 5 years and many changes to our region, she moved to an onsite position as Assistant Property Manager until August 2007. In 2007, Lisa made a career company change and took a job as a Property Manager over a 110 unit apartment community and then to a 76 unit tax credit community. 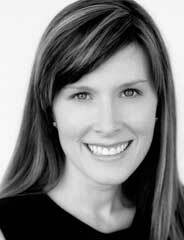 Lisa joined the Park Avenue Properties team in 2012. Lisa is a Cornelius native who remembers such major events as the opening of I­77, the opening of the YMCA and the town leaders deciding that if Cornelius were to have an ABC Store it had to be outside of the city limits. Lisa graduated from North Mecklenburg High School and in 1986, she married her high school sweetheart, David. Lisa has two children, Chelsie and Zac, and lives in Mooresville, NC, in a home that she built with her family. Originally from Rice Lake, Wisconsin, Lisa attended a local college to receive her degree in Accounting and Finance. Lisa has worked in the accounting field for over twenty years and has also owned and operated her own signs and graphics company for eighteen of those years. After vacationing to NC in 2012, and loving the area, Lisa and her husband decided to make the move in February 2014. They have two sons, one lives in Minnesota and the other decided to move to NC as well after vacationing here and loving the area. In her spare time Lisa enjoys baking, traveling and camping. She and her husband also enjoy Nascar and take in at least one race a year. Lisa has been in the property management industry for over 20 years. She began as a field office manager for Trammel Crow on the building side of property management. The first property she worked was Alta Harbor, now renamed Marina Shores in Cornelius. After 3 years and 3 different job-sites, Lisa moved over to the management side of property management and was an Administrative Assistant for the RVP of a management company. Her region was the Mid Atlantic Region and included 18 apartment communities in 5 states and 5 shopping centers in 3 states. After 5 years and many changes to our region, she moved to an onsite position as Assistant Property Manager until August 2007. In 2007, Lisa made a career company change and took a job as a Property Manager over a 110 unit apartment community and then to a 76 unit tax credit community. 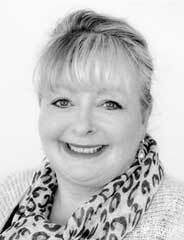 Lisa joined the Park Avenue Properties team in 2012. Lisa is a Cornelius native who remembers such major events as the opening of I­77, the opening of the YMCA and the town leaders deciding that if Cornelius were to have an ABC Store it had to be outside of the city limits. Lisa graduated from North Mecklenburg High School and in 1986, she married her high school sweetheart, David. Lisa has two children, Chelsie and Zac, and lives in Mooresville, NC, in a home that she built with her family. Lorna entered into real estate in 2007. She and her partner bought residential homes, rented and managed the homes in GA. In 2009 Lorna received her GA Real Estate license. After becoming a real estate agent, Lorna worked for Titanium Solution and became a liaison between homeowners and their home loan banks. She assisted homeowners by negotiating the terms of their home loan contracts. In working closely with banks and homeowners, customer service is one of Lorna’s strong strengths. In 2013, Lorna began working as a property management agent for homeowners and investors in GA. She assisted homeowners/investors in providing qualified renters for their properties. She also enjoy assisting tenants in finding that perfect rental home. Lorna knows that good customer service is the key in keeping a smile on the homeowners and tenants faces. In her spare time, Lorna enjoys morning walks and going to events with her family and friends. While pursuing her Marketing degree at Clemson University, Mallory developed her natural knack for understanding computers and technology while exploring graphic and web design, learning code and social media metrics. After graduating, Mallory was introduced to the property management industry via a marketing position with a nationwide college housing development corporation. Mallory's responsibilities included on­site management and marketing of a multi­unit condominium community. In 2009, Mallory brought her combination of managerial spirit, creativity, work experience, education and technical knowledge to Park Avenue Properties. The firm was small, giving Mallory the chance to wear many hats, and she is proud to have played an integral part in growing Park Avenue to the industry leader it is today. Among her accomplishments are launching an online rent payment system, application system and client portal; transitioning the company to cloud­-based technology; overseeing the development and management of the company's websites and SEO; launching the company's social media platforms; creating the firm's marketing collateral and print and digital advertising media; executing digital and direct mail campaigns; and forming a company philanthropic committee to raise funds for local animal shelters. Today, Mallory leads the advertising team in researching and developing methods to stay ahead of the evolving property management industry. Marc serves as Park Avenue’s Financial Controller. Marc enjoys spending his days off at the lake with his family. Maureen joined the Park Avenue team’s Maintenance department where she excelled and quickly moved into a position to assist the firm’s investor clientele. Her desire to help Park Avenue’s tenants throughout the duration of their lease and make them feel at home in their rentals drove Maureen to take on her current role as Tenant Relationship Manager. In her spare time, Maureen enjoys traveling and spending time with her family. Megan is equipped with a wealth of experience within the Property Management industry, having spent the last seven years specializing in single-­family Real Estate Management. Megan is an Accredited Residential Manager (ARM)® and is a designated Residential Management Professional (RMP)® and Master Property Manager (MPM)® by the National Association of Residential Property Managers (NARPM)®. Megan joined Park Avenue Properties as Property Account Manager to continue the firm's success providing property management services to the greater Atlanta metro market. Meghan graduated from UNC Charlotte in May 2015 with a Bachelor's in Marketing. Since graduating, she has been pursuing her own photography business, specializing in portraits, families, and engagements. Meghan loves traveling, meeting new people, working on crafts and calligraphy, as well as enjoying the best of the city where she lives. Property Management is a new and exciting industry for Meghan to learn about and grow her professional career in. Natalie graduated from UNC Charlotte where she received her Bachelor's degree in English. While pursuing her degree, she freelanced for CLTBlog.com and Davidsonnews.net. Natalie’s adaptability and eagerness to succeed have allowed her to wear many hats at Park Avenue Properties. She welcomes the challenges that Property Management brings and tackles them with ease. In her free time, Natalie enjoys getting in tune with her creative side with writing and painting. Pam was destined for real estate from an early age. When she saw vacant homes and empty commercial buildings around town, she would imagine them bustling with activity from both new neighbors and businesses! 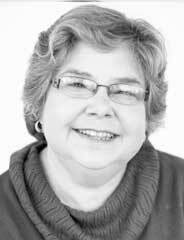 With more than 15 years of experience in property management, Pam enjoys making things run smoothly for the owner and the tenant. In her spare time, Pam enjoys spending time with family and friends, shopping, decorating, and movies. Her favorite quote is "People may forget what you say, but they will never forget how you make them feel!" Penny Wilson is a member of Park Avenue’s Customer Care team. Penny works at the front desk, greeting and assisting visitors to the firm. Outside of the office, Penny enjoys spending time with her husband and son. Robert Vargas oversees Park Avenue’s Rental Showing Network and showing schedule website, SeeARental.com. In this role, Robert enjoys connecting with Real Estate agents and sharing what the Rental Showing Network has to offer. In his spare time, Robert can be found with family and friends and taking in the sights, sounds and experiences that the Charlotte area has to offer. Robert O'Grosky is the Property Account Manager for Ft. Myers and Cape Coral FL. He has been in the real estate and mortgage business for over 14 years, and loves the Southwest Florida market. He and his wife Kim love to spend time at Southwest Florida’s beautiful beaches, and playing golf at the area’s award winning courses. Along with his family, he is also a very active member in his church. Robert is proud to be a member of the Park Avenue team and looks forward to working with new homeowner clients and real estate agents. Sam is a NC native and began her professional career in interior design. After a few years she accepted a position in marketing that led to accounting due to the company downsizing. She discovered her true calling and has been in the accounting field for several years. Sam is also a personal assistant (mom) to her amazing daughter and enjoys spending time with her husband, family and friends. Sherri Thomas is a member of our Customer Care Team and is often seen assisting customers on Park Avenue’s website chat. Sherri enjoys helping others and enjoys meeting their needs. When she’s not at the office, Sherri is spending time with her family. Allyson is a native of West Virginia. She graduated from West Virginia University with a major in Multidisciplinary Studies in 2014. Shortly after graduating, Allyson and her husband moved to the Charlotte area. In her spare time, she enjoys spending time with her husband and puppy, traveling, and relaxing. Allyson joined the Park Avenue Properties team in 2016 as Customer Care Specialist. Karen joined Park Avenue Properties as an Asset Manager, working closely with the firm’s Maintenance team and Property Managers to maintain a portfolio of client properties. Karen enjoys the daily challenges property management presents and is continuously looking for opportunities to learn more about the industry. Having this drive and a passion to help others, Karen recently accepted a Tenant Relationship Manager position within the firm. Karen’s commitment to her role is second to none and she is a tremendous asset to the Park Avenue team. Angela Pennell is experienced in office administration and sales. She has held a Vice President position and director of a call center for storage facilities throughout the U.S., and was instrumental in the startup, methodical layout, and running of that business.Throughout her professional career, Angela has been responsible for the various tasks involved with running a prolific office such as: staffing, budgeting, managing, designing custom software, and selling the end product. She also holds a NC Real Estate license and sold for in the Lake Norman area in the past. Angela's forte in business lies with troubleshooting a process and having a vision of what would make things run more smoothly and efficiently. "I like to think outside the box," says Angela. "I love to take a process, form a think tank, and make a process phenomenal. I feel that when you have several very intelligent people brainstorming, there’s an electricity in the room that makes it impossible for the competition to beat." On a personal basis, Angela loves to draw plans, build, and do interior design for houses. She enjoys traveling internationally and writing short stories about her family and experiences while vacationing abroad. Angela has a daughter, Sloan, of whom she is extremely proud. Scott Bright is a seasoned professional in the Real Estate industry. As an Owner Relationship Manager, Scott oversees a portfolio of homes for Park Avenue’s residential homeowners and investors. He maintains an open line of communication with his clients and works hard to provide exceptional property management services.